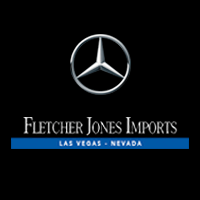 When it comes to routine service, the Mercedes-Benz Vans keep it simple for Las Vegas business owners. Maintaining a work vehicle, or a fleet of work vehicles, can be costly, which is why the Sprinter offers a cost-effective 20,000-mile service interval. Opting for Prepaid Maintenance, however, takes the efficiency of the Sprinter and Metris Vans a giant leap forward. You will have the opportunity to pre-pay for scheduled maintenance, so you won’t have to worry about it in the future. What’s more, all diagnostics, repairs, and parts replacements are completed by our Master Certified Technicians using state-of-the-art tools. *Potential savings varies by dealer and model.